Hybrids are hot commodities these days for a must have in any serious surfers quiver.Fully equipped with a 5-4-3 fin combo as well as sufficient rocker to handle those late drops!! 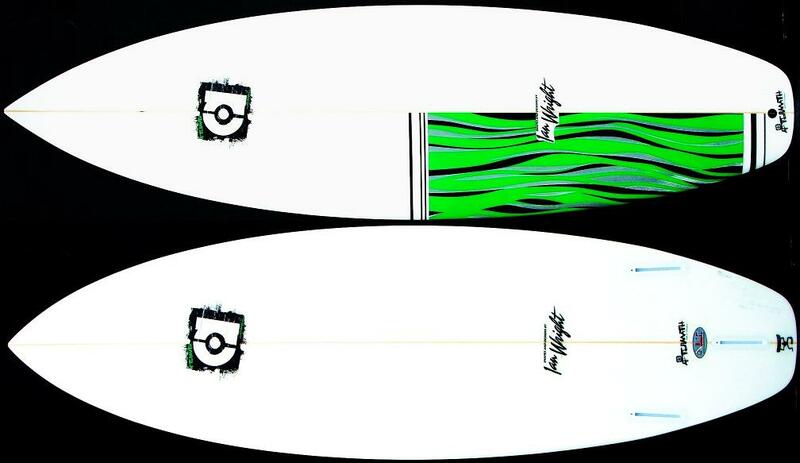 If you've got the balls..then let them hang out with one of these.Take no prisoners..because Santa has come early this year.Slated for 2011 release...it could not wait.Surfing this board is pure fun. 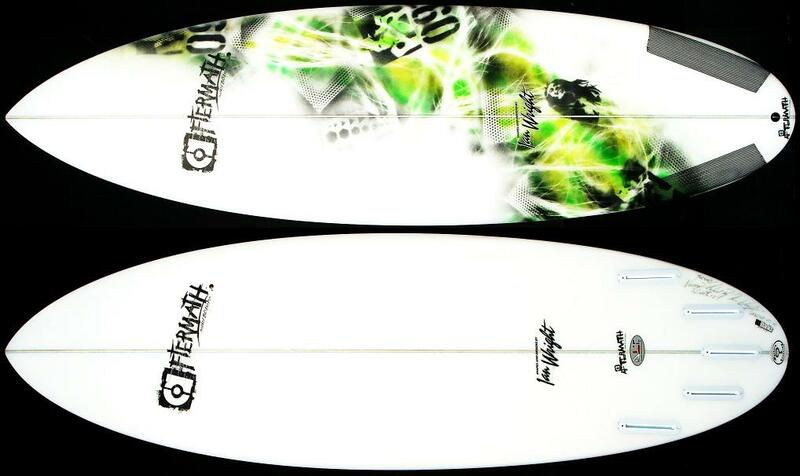 High fused EPS epoxy high performance shorty.Personal board to outpaddle those pesky Groms when age is a factor.6'0" x 19" x 2.32"
Just when the Groms thought it was safe to go back in the water..pull this bad boy out and it's fair game. Ride it 1" - 2 " shorter than standard shorty and 1/2" - 1" wider with same thickness.For High fused EPS order 1/8" thinner.